I was always going to fertilise my child’s life with music. When he entered the outer world there was no doubt less of the industrial level in-womb whoosh and shloosh, but certainly noise of many different kinds. 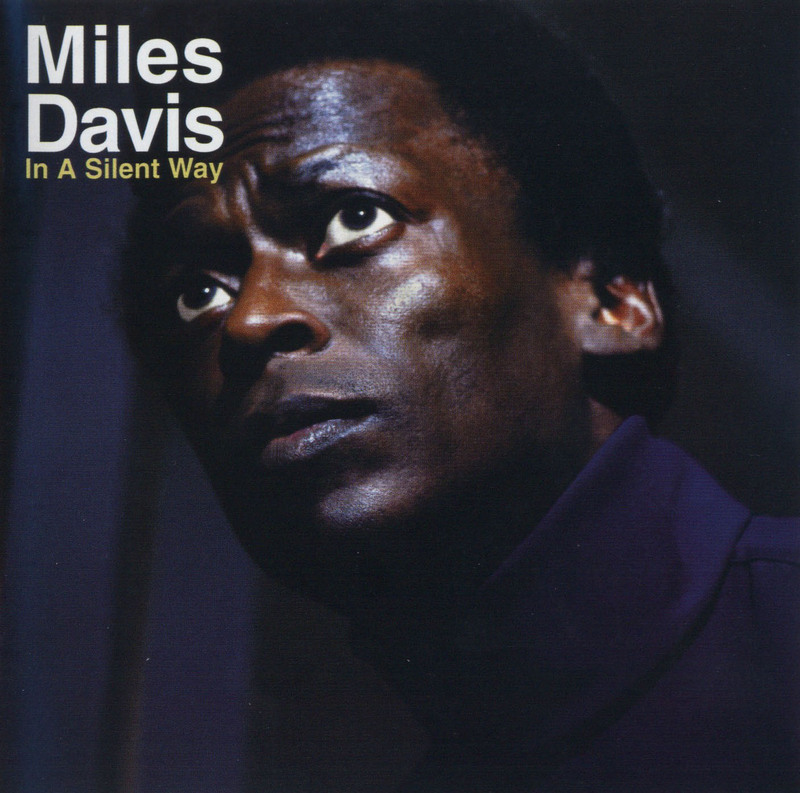 His dad, having acquired a pretty serious record addiction sometime in his late teens, has zero tolerance for silence. Early in his life, the boy became part of the library itself when he modelled for the cover of the annual compilation CD. Not being any sort of photographer, I was quite chuffed at the result. As he did not demand an exorbitant fee (half a biscuit, as I recall) and only slobbered over the case a bit, everyone was happy. The next stage was creating CD compilations for him. Peter Gabriel’s “I Go Swimming” provided the title for a CD aimed at the weekly car trip to his infant swimming lessons. But this was merely warming up. Next came Yummy Yummy. It was diverse and (I thought) fun. Having invested considerable time and energy into its compilation I decided to share the joy by distributing it to everyone in our circle under the age of six. As the next in the Kidsbop! 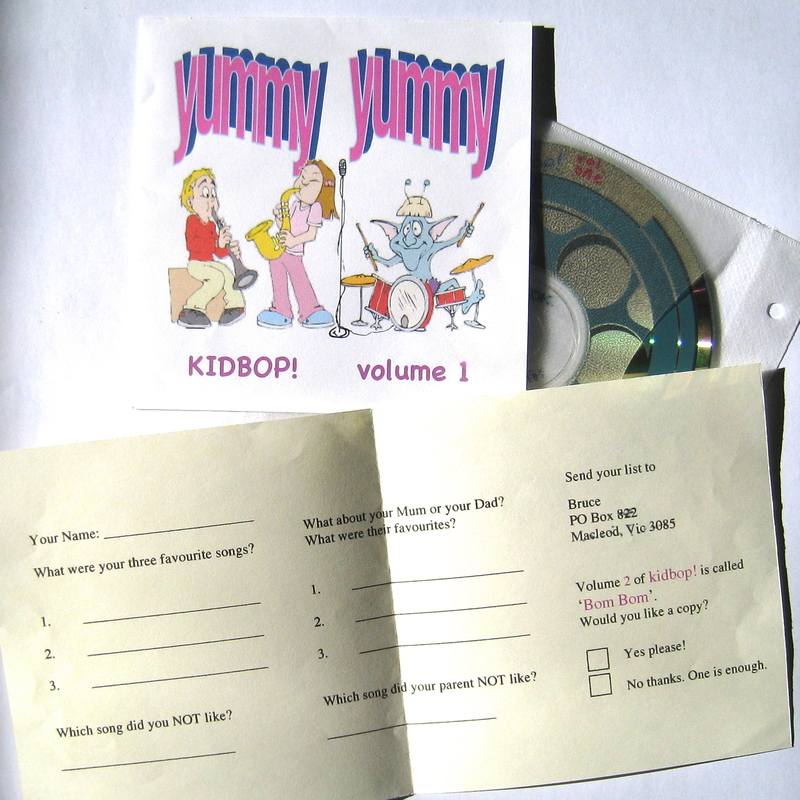 series was already in the planning stage, the package even included a feedback form to fine-tune selection for the next volume. To my astonishment, the expected deluge of orders did not eventuate. 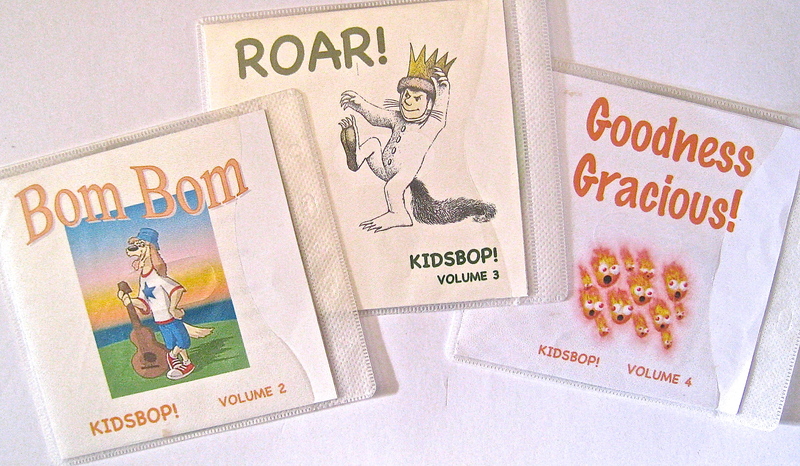 For those of a curious disposition, all the details – songs, artists and release dates – for the entire Kidsbop! series are listed below. How were these labours of love received? Well, the boy certainly enjoyed most of the music, taking it on-board with the insouciance of childhood. With the last one, I tried really hard to include him in the process, auditioning tracks and getting his little thumbs up or down. Naturally, I could not resist exerting some influence. Free choice? Huh! With decades of accumulated listening, I know what’s good. Still, it was more of a collaborative effort and when he recently heard and named “Johnny B Goode” while we were in a local Charity Shop, the elderly volunteer ladies were duly impressed. The comps get played now and then, mostly during long car trips. 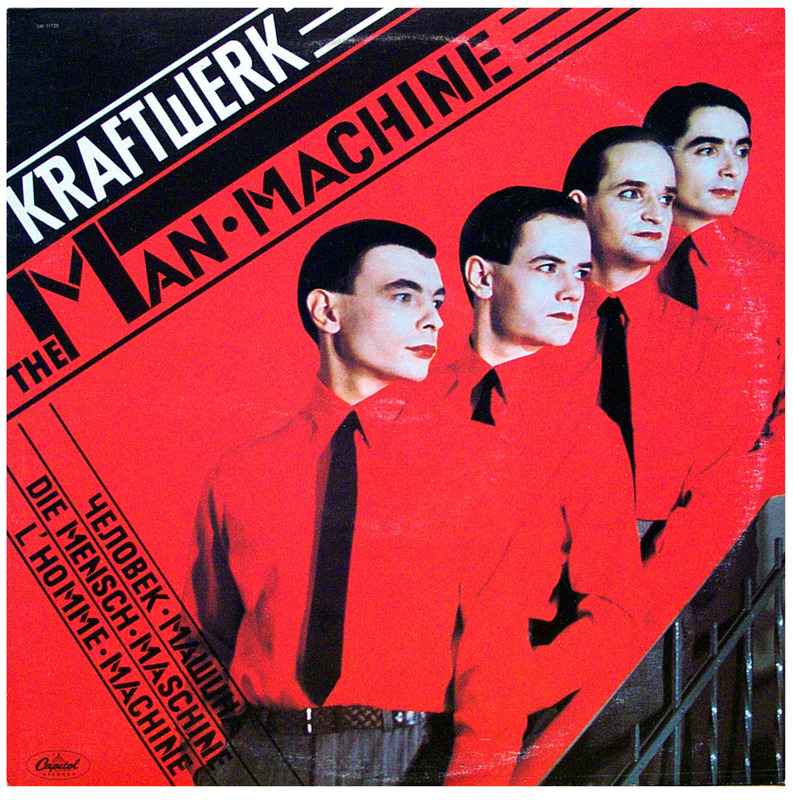 But on those rare occasions when he is invited to influence the musical atmosphere at home, he invariably chooses Kraftwerk’s Man Machine. Kids love Kraftwerk. I bought another vinyl copy of Man Machine recently and filed it away, unopened, with a post-it note saying “For you if you want it”. I’m not entirely sure, but maybe I was wandering towards a place where older parents sometimes glimpse flickers of their own mortality out of the corner of a moistening eye. And the boy? He wants to listen to the talking book of Roald Dahl’s The Twits. feel free to wander back through the previous articles. Always worth reading, Bruce – thank you. This leads me to think about my son, Alex, who spent a fair bit of time as a youngster being swung around the lounge room to, mainly, Spanish Caravan (The Doors: Waiting for the Sun) and Take Five (Brubeck CBS Collection). He’s not much of a traveller and is an aspiring pro Boxer. I don’t like the expression but ‘Go figure’. Yes, I see what you mean. No obvious evidence for a link between musical inculcation and subsequent life choices. Great lyric, though, isn’t it? Thanks for adding it into the page. That’s awesome your little guy digs Kraftwerk! I imagine the appreciation for these comps will increase with age. For years as a late teen, I created a faux label complete with album art (and catalog numbers) for my circle. Although abandoned now, Silent Party Records was a fun little adventure. I’ve always erred on the side of not wanting to frighten my kids off music by pushing at them too hard and too manically (as opposed to them just absorbing what we play anyway), and I think your little compilations are a lovely way of doing just that. My daughter is named after ‘Martha My Dear’ and at age 11 loves Black Keys last LP, whereas my son also loves Kraftwerk, but mostly loves orchestral film soundtracks. Am still waiting for one of them to approach me about thrash metal, or Can – ah well, I grudgingly suppose they have to find their own way! It did occur to me that my diverse but constant playlist might produce an aversive response in the scion. But then, that would reduce the chance of competition for airspace!